These Pond Kits include everything you need to build a beautiful pond in your yard or garden. Regardless of whether you prefer the Savio or the Aquascape packages you can be sure that all components are quality made and easy to install. 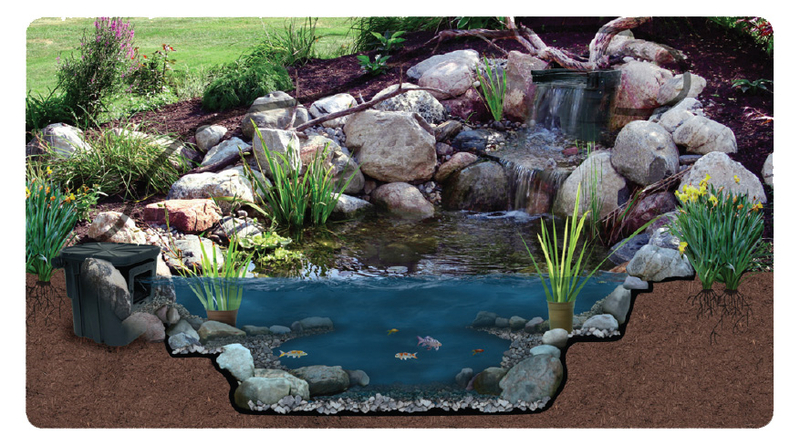 All of these pond kits suggest general pond sizes that they can build, but the final design is up to your imagination. Each pond package includes easy to follow instructions and DVDs. If you have questions regarding any of these pond kits please feel free to call or email Mud Monsters for more info.